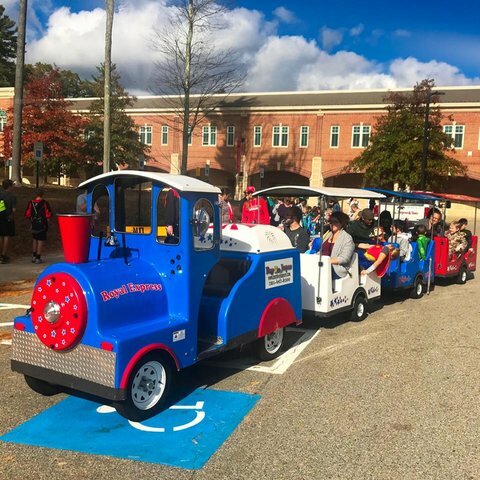 New England's Only Electric Trackless Train. Great for indoor or outdoor use. Whisper Quiet operation makes this unit ideal for schools, gymnasiums, Church events, Town Events and much much more. 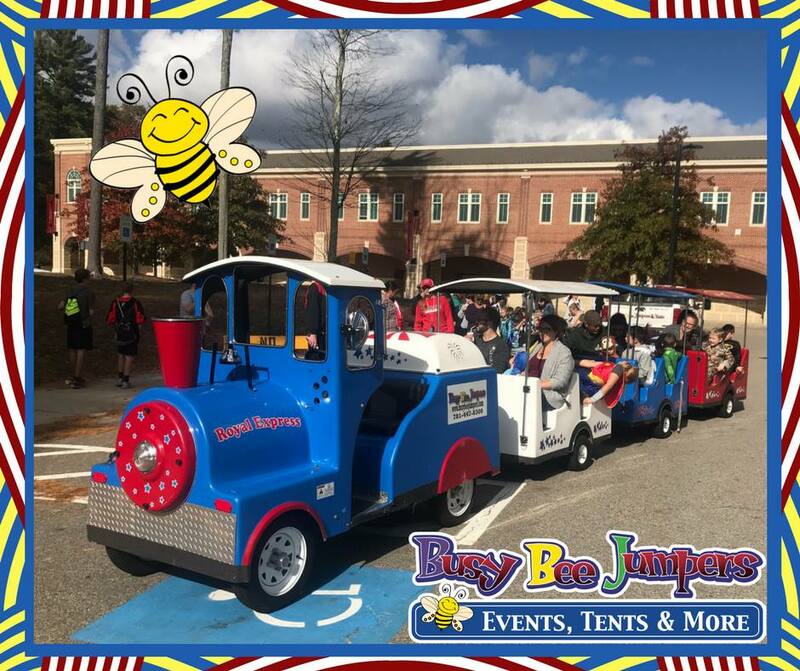 Tell us about a large event you're having, we bring the train. We then sell tickets for a flat rate, for each unit sold we donate a portion of the proceeds back to the non-profit. First 3 hours = $1,000.00. Each additional hour = $200.00 per hour. Some travel fee's may apply. Please call for availability. The Trackless Train can travel just about anywhere because it does not require a track and has an electric motor. The trackless train can operate on any flat surface, asphalt, paved surfaces, grass, etc. The train can operate on most residential streets, parks, and schools. Most Trackless Trains can not operate on large hills.Trackless Trains are recommended for Level Grade Only.